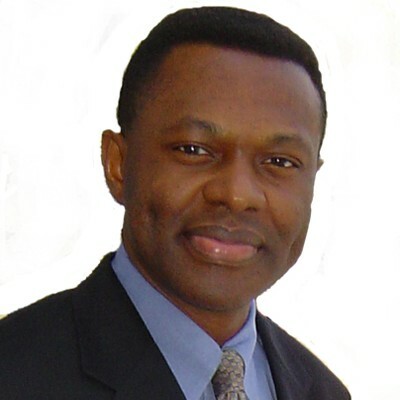 Niyi Taiwo is an innovative, dynamic, and instructional, professional speaker on the central theme and topic of Respect. As a subject matter expert and a thought leader on Respect, he is the creator and research-based author of the EKTIMIS Brand and the EKTIMIS Respect Model - a framework and educational model that illustrates the concept and principles of respect in a visual format. He is the author of The Top Ten Laws of Respect collection of principles, as well as several books on the same topic - The Top Ten Laws of Respect book series. He is also the author of a collection of Respect Quotes. His landmark (analytical and empirical) studies on the topic of respect focuses on the aspect of respect that is invisible to the eye - that is, the part of respect, rooted in the human mind, that precedes a respectful (or dis-respectful) behaviour that we observe (the visible). These studies have led to the current body of works that have produced and continue to produce publications and writings (respect-focused articles) that simplify and demystify the seemingly complex topic of respect. Niyi is a former global management consultant and presently a Principal with a Boston-based management solutions consulting firm, SET, and the founder and creator of EKTIMIS - a brand and operational division within the company. The EKTIMIS brand is perhaps the only solution accessible online and focused exclusively on Respect as a cornerstone to cultural and organizational improvement. As a current Principal at SET he works with business owners and senior management of companies seeking solutions to manage risk, improve organizational effectiveness as well as business operational performance. Some of his high profile accomplishments include his leadership role in helping the Commonwealth of Massachusetts in achieving HIPAA regulatory compliance in 2001 while he served as an advisor and Chief Information Officer to the Secretary of Health & Human Services at the Massachusetts Executive Office of Health & Human Services - under the Governor Jane Swift administration. He has had the priviledge of consulting with several leading private sector organizations as well as public sector organizations that include the U.S. Air Force, U.S. Army, USICH, U.S. Small Business Administration and more. Prior to his current tenure and role at SET, He worked at KPMG Consulting - a global management consulting services company where he led delivery of management solutions to U.S. Fortune 500 companies - particularly in the Financial Services industry, including The World Bank, Morgan Stanley Dean Witter, Fleet Bank (now part of Bank of America), Robertson Stevens Brokerage Services, State Street Global Advisors, Putnam Investments, Weichert, NatWest, and more. Before joining KPMG to begin his consulting career, Niyi worked with two leading Wall Street investment companies - Scudder Investments and Brown Brothers Harriman & Company developing creative business application systems and process solutions to business operational challenges. Collection of Powerful Articles (Informative, Insightful, and Stimulating) - Anchored on the sole topic of Respect. Outstanding Performance Award, U.S. Air Force, Lackland AFB, Texas - for Respect in the Workplace Program. Outstanding Recognition Citation, Boston City Council - for advocacy on the topic of Respect (to Youth and Family). Appreciation Award, University of Toledo Center for Family Business - for Respect and Leadership Keynote Speaking Program. Recognition award "2008 Shining Star" from the Greater New England Minority Supplier Development Council for exemplary performance in supporting New England minority business community through educational seminars and programs. Official Citation - State of Connecticut (Office of the State Comptroller) for exemplary performance in supporting the Minority business community through educational seminars and programs. Find out more about N. Taiwo at http://www.ektimis.com/.